Argosy Gallery - Fine Art available online and in downtown Bar Harbor, Maine. The Argosy Gallery is located in beautiful Bar Harbor, Maine. Browse the site's online database of available paintings which emphasize the scenic beauty of Maine's Coast, Mt. Desert Island and Acadia National Park. Click HERE to receive Argosy Gallery announcements! June, 2018: Save the date, July 21, for the evening reception at the Bar Harbor Inn for our Rising Stars show. The season is off to a rousing start. Longtime collectors from Pennsylvania arrived on the first day, as did several of our artists. During late May and early June, young artists from Vermont, North Carolina and Arkansas were on the island exploring and painting for the July show. On June 1, over 160 visitors joined us for the First Friday Art Walk, and nearly all graciously took part in the People's Choice voting. We continued collecting votes in person and via phone and email through June 7, and we're now pleased to announce below the award winners in the Third Acadia Invitational, Part II. These results will also appear in the Sep/Oct issue of American Art Review. All of our shows also feature door prizes. The four from the Third Acadia Invitational, Part II, went to visitors from Ellsworth and Portland, ME, New Hampshire and New Brunswick, Canada. The two from the Galyn's event went to guests from Mount Desert, ME, and the Niagara Fall area of New York. Many thanks to everyone who participated! May, 2018: Spring has been late in coming, but is finally here. Our two gallery spaces are open seven days a week. First order of business is to thank the many friends and collectors who came to last year's events, in some cases to all of them. Our artists and we think you are the best. Friday, June 1 - Opening of the Third Acadia Invitational, Part II, at Argosy II, 6-9 PM during the Bar Harbor Art Walk. Refreshments, door prizes and People's Choice voting in person and online. Sunday, June 17 - The annual Father's Day Galyn's Show, 3-6 PM at the restaurant. Co-hosted with Gail and Rick Leiser, with a splendid hors-d'oeuvres buffet, artists to meet, door prizes and passionate voting for People's Choice Awards. Saturday and Sunday, July 21 and 22 - The "Rising Stars Paint Acadia" show will open at the Bar Harbor Inn, and will continue at Argosy II through October 28. Nine young artists are working hard, generating excitement, attracting collectors and are deserving of our attention. Please RSVP for the reception 6-9 PM Saturday at the Porcupine Room. Once again there will be good food, artists on hand and People's Choice voting. This will be an important career show for these promising artists. Friday, October 5 - First Friday Art Walk, 6-9 PM at Argosy II. Saturday, November 10 - Opening of a special event in honor of iconic Maine painters Scott Moore and Ronal Parlin as they turn 65. Location, time and other details to be announced. April, 2017: There is still snow on the ground, but the town is re-awakening. Exciting new paintings are being added regularly to both inventory and the website. Last year's Acadia National Park's Centennial was extraordinary, with 3.3 million visits, versus 2.8 million in 2015. In the two galleries we spoke to a wonderful subset of these visitors, out-of-state guests as well as residents, year-round and seasonal, all enjoying the fine art and welcoming salon-like experience. Every special event was well attended and hundreds of original works of art were chosen for collections large and small. Several special collectors even managed to attend all the major openings. Our thanks to everyone! 2017 may be a bit calmer island-wide, but our upcoming events for this year are already generating excitement. The ever-popular Galyn's show will be held once again at the restaurant from 3-6 pm, Sunday, June 18, Fathers' Day. Co-hosted with Gail and Rick Leiser, owners of Galyn's Restaurant, this annual event has always been great fun for old friends, curious newcomers and the artists themselves. Then on July 29 we will open the Third Acadia Invitational at the Bar Harbor Inn. This event, our most ambitious yet, features thirty distinguished artists, ninety fine paintings and fifteen awards, all to celebrate our region's striking and celebrated landscape. The exhibition and sale will be open to the public Saturday, the 29th, from 2-5 pm, and Sunday, the 30th, from 9 am - 6 pm. Everyone is also welcome to the Saturday evening reception; please contact the gallery for information and an invitation. After this opening weekend, the paintings will be on display at the Argosy II throughout the season. When the first announcement of the Invitational appeared in the Nov/Dec issue of American Art Review, half a dozen artists called about entering. It certainly caught their eye. However, invitations and acceptances had been completed long before then. Participating artists, each of whom will have visited and painted in Acadia by the time of the show, come from eleven states and four countries. Twelve have been in one or both of the earlier Acadia Invitationals, eighteen will be new to this special show. We anticipate it being one of the most important landscape shows in the country this year. Recently there was an interesting article in American Fine Art Magazine, Jan/Feb 2017, that reported on the results of Christie's American Art Sale last November. It turns out that three of the top ten sales, of a Hassam, a Breck and a Church, were Acadia paintings. Added together, the three sold for nearly $4.7 million. These results are a welcome indication of the enduring appeal of our landscape, and the reputations of the artists who have painted around Mount Desert Island. This past winter also brought sad news when we lost a member of the gallery's family. Barbara Pryor, a wonderful watercolorist from Northern Kentucky, died in January at 81. Barb was with the gallery since our opening day in May, 1996, but her ties to Maine go back much further. She and five fellow artists met in Don Dennis' workshops in Ohio. Don also taught in Maine and let every student know how special it was. In 1981, the six women started what would become many years of annual trips to coastal Maine. Renting a house on the water's edge for several weeks each time, they left behind families and household responsibilities to devote full attention to painting. On their return they often held Mainly Maine shows at the Cincinnati Art Club. The dedication of the group to their annual trips led to a July 2001 article in The Artist's Magazine. Barb loved flowers and often incorporated them into her landscapes. In her rugged seascapes she excelled in painting with the white of the paper, and her experiments with the special watercolor paper YUPO were inspiring. In another article specifically about Barb's work in The Artist's Magazine, Nov 1996, the author wrote "Pryor's beautiful watercolor conjured this memory for me (of my grandmother) because it evoked all of my senses: taste, smell, temperature and the bright clear light of a summer morning. I can't ask more than this from a work of art." Besides her artistry Barbara Pryor was an especially warm and generous person, always interested in others. She will be missed by many. March, 2016: The 2016 season promises to be an exciting one. Visitors to Acadia National Park will be celebrating its centennial, and we're doing our part with a great line-up of events. The gallery will reopen on a daily schedule on Saturday, May 21. Until then appointments can be arranged. We also have the full inventory online. Friday, July 1, "Acadia Miniatures for the Centennial"
Tuesday, August 16, "Becoming an Artist"
Saturday-Sunday, August 20-21, "Milestone Exhibition"
Several artists have already been to town. Steven Hileman, Nancy J. Hill and Jana Matusz recently stopped by with paintings. Other artists sent new work, and we just added 17 new works to the website. More are on the way. Artists and collectors alike are "thinking spring". T. M. Nicholas gave us a lovely small oil of an apple blossom branch, quite different from other paintings in his inventory. A collector chose from the website a classic impressionist water lily painting by Michael Graves for a special Valentine. All our artists stay active year-round, and the art world is taking notice. Between spring of 2015 and February of 2016, at least eight Argosy artists have been featured "in the press", from articles in national art magazines to newspaper reviews to online interviews. When we catch up with everyone this spring, we'll undoubtedly hear of more. We are so pleased when our artists receive well-deserved attention. Last year's five major events met our highest expectations. The talks by Carolyn Jundzilo, Kathleen Dunphy and Nancy J. Hill were entertaining, informative and genuinely heartfelt. The artists join me in thanking everyone who attended including collectors who came from as far away as Texas. A few friends came to all three talks as well as the Galyn's Show in June and Boston's in November. As I write Bar Harbor is feeling the last gasps of a fairly mild winter. Spring will soon be here; we look forward to lots of flowers and lots of friends. March, 2015: 2015 is the 20th anniversary of the Argosy Gallery, and we have a wonderful line-up of events planned. To start, the Galyn�s show will be a week earlier than usual, on Sunday, June 14. Then, three once-a-month events will present a combination of artist talk or demonstration, exhibition and reception. On July 25, Carolyn Jundzilo will be featured at the Bluenose Inn, on August 22, Kathleen Dunphy at the Bar Harbor Inn, and on September 26, Nancy J. Hill at the Bluenose. We hope many of you will be able to attend one or more of these sure-to-be-entertaining gatherings. The year has gotten off to an exciting start. January's sales were as strong as December's, which included an active holiday season. February and March have each seen sales even while we've been building an inventory of fresh work for the new season. Already more than 40 new paintings have been added to the web site in 2015. One even found a buyer, a regular collector, within a day of its arrival. More works are expected before the end of March. Steven Hileman (twice), Nancy J. Hill, Jana Matusz and Nathan Ward have all braved the winter and come to Bar Harbor in person. We look forward to our season "re-opening" on Saturday, May 16. The snow, a prodigious amount this winter, should be gone by then. In the meantime we would be very pleased to show off the growing inventory by appointment. Please join us for our anniversary season special events as well as frequent regular visits. November, 2014: Whoosh! The year has sped by. We are about to pack up fifty of our newest and most eye-catching paintings to take to the Boston International Fine Art Show. This event is being held Nov. 13-16 at the Cyclorama, home of the Boston Center for the Arts on Tremont Street in the South End. Please contact us for times and ticket information, or look on the organization's website www.fineartboston.com. I consider this the most glamorous painting show in New England. Home in Bar Harbor we've had, and continue to have, an excellent 2014. Weather in May wasn't great, but things improved in June. Our annual Galyn's show that month saw the largest crowd ever with more than 120 guests. Five gallery artists were able to join us. Paintings by Ronal Parlin, Steven Hileman and Nancy J. Hill won "People's Choice" awards in a close contest. July through October were as busy and productive as any four consecutive months in the gallery's nineteen years. Of course the T. M. Nicholas and Ronal Parlin show, which opened at the Bar Harbor Inn the latter part of August, was a great success. We were the beneficiaries of work by two exceptionally accomplished artists at the top of their games. Three of four other artists will likely end the year with personal best seasons as well. Over one hundred new images are being added to the website this week. We are thus well stocked for winter. Despite a surprise snowstorm on Nov. 2, we've had a long, mild, visitor-filled fall. That pattern carried over into November. Some late season customers were in the gallery as new work arrived and spoke up for several pieces on the spot. Combined with calls from customers who had been pondering selections form the website, we had a record first 10 days of November. There was one very sad note this fall. Rudy Colao died in early October. A talented artist and fine gentleman, universally well-respected and -liked, he would have been 87 in December. I understand he lived life fully right up to the last minute, as he took a walk around his beloved Rockport, MA, with his clothes already laid out at home for an opening that night at the Art Association. He will be missed by many. His paintings will remain available from this gallery through the end of the calendar year, possibly January, and after that, through his executors. Thank you everyone, patrons, artists, family and friends, for your generous support. Happy Thanksgiving. February, 2014: All of our 2013 special events were splendid, with great attendance, sales and fun. Some friends came for all four: late April's 60th birthday celebration for Scott Moore in Portland, the Fathers Day show at Galyn's in June, the late July celebration for the Art of the National Parks exhibition, and just before Thanksgiving, the Boston International Fine Art Show. The book accompanying the Park project was very well received; we have fewer than 20 copies left. The publishers, who had never been to Maine, traveled from New Mexico for the opening and left thoroughly impressed by the paintings, the event and the landscape itself. Exceptional paintings from the Acadia chapter of the book are still available through the gallery. The last quarter of 2013 was particularly successful, and the momentum has continued into the start of 2014. January sales have made us optimistic about this year's prospects. New paintings are arriving almost weekly. Ten were added to the website in late January, and another group is being assembled for a March photography session. We look forward to lots of 2014 visitors, as we love to show off paintings in person. Looking ahead, the popular Galyn's Fathers Day show is on the calendar for June, and our Bar Harbor gala reception is scheduled for Saturday, August 23. The latter event will be the formal opening for a Milestone Exhibition celebrating T. M. Nicholas' successes at 50 and Ronal Parlin's at 60 ... a dream show. Given their exceptional talent and reputations, I fully expect that 50 years from now our grandchildren will speak proudly of our having represented these two gentlemen. Please keep an eye on the website this spring and early summer. Exhibition paintings will arrive gradually and will be for sale as soon as we get them. Also in 2014 we are formalizing our guest artist program. For a one-year period we will carry the work of an artist whom we admire but do not regularly represent. This artist may be experienced with an extensive exhibition and award history. He or she may have made a recent painting trip to Mount Desert Island but not come here regularly. Alternatively, the guest artist may be earlier in his or her career with fewer than 10 years of exhibition history. Any of these artists will have demonstrated commitment, ability, training and accomplishment. We are pleased to announce that Greg De Lucca of California will be our 2014 guest artist. July, 2013: The 2013 summer season is well underway and going swimmingly. Coming up in just a few weeks, on July 27, is the gala celebration for our summer headline show "Art of the National Parks: Acadia". Should you will be in the area, please contact us if you'd like to come to the Saturday evening reception. The whole show can be seen on-line as well. From our perspective, our early season shows have been wonderful. On April 27 Scott Moore gave an informative and entertaining talk at the Cumberland Club in Portland, ME, in which he discussed his development of a painting. The customer who purchases "Bell Tower" will also get four full-size prints, mounted on foam core, of the painting in different stages of execution. A reception, both elegant and warm in spirit, followed the talk. During our eighth annual show at Galyn's Restaurant on Father's Day, nearly one hundred visitors enjoyed meeting artists, tasting food and beverage treats, and deliberating about their selections for the "People's Choice Awards". Six artists, many accompanied by family members, enjoyed the occasion as well. Joining in were Steven Hileman, Nancy J. Hill, Carolyn Jundzilo, Jana Matusz, Scott Moore and Ronal Parlin. Among the paintings by fifteen gallery artists, the top People's Choice Award winners were Parlin's (1st and 2nd place) and Matusz' (3rd). Others were only a handful of votes behind. We once again thank Gail and Rick Leiser, the owners of Galyn's, for providing the elegant setting, wonderful hors d'oeuvres buffet (a work of art itself) and specialty wines. On a regular basis the Leisers share their own collection, which may be the largest (and certainly one of the loveliest) private collections on public display in Maine, with the restaurant's guests. Bar Harbor's arts committee has now formalized our First Friday Art Walks. We decided to use these dates as "openings" for small shows that hang for three or four weeks. On June 7, the first of these events featured two of our younger artists, Steven Hileman and Bryan Whitehead. On July 6, we gathered together a variety of interesting pieces by Michael Pyrdsa, the gallery's only ultra-realist. These included landscapes, a colorful dinghy series, several still-lifes and even two trompe l'oeil pieces. Jana Matusz spent the month of June working on-site on Mt. Desert Island, and produced a splendid new body of work for the August 2 show. Our Art of the National Parks show was hung in the Argosy II gallery by June 15 (our having promised visitors coming for the Galyn's show that they could get a look at the Acadia paintings as well.) The Acadia show consists of fifty-four paintings by the ten artists in this section of the book just published by Fresco Fine Art Publications of Albuquerque, NM. About eighteen months ago, the publishers approached us about hosting a show for this section (there will be others in several western venues as well.) While our original plans for this year's summer show were to host a 60th birthday celebration for Scott Moore, his third "Milestone Exhibition" by our gallery, Scott is very proud of this book and was happy to take part in a prestigious group show instead. We also agreed to the change because seven of the ten artists in the Acadia chapter are among those that we represent regularly, a notable endorsement of our gallery group. Overall, the book features work by sixty-nine of the country's leading landscape painters. With fine historic context and well-known guest editors and writers, the project is a "tour de force". Our seven regular participating artists are Kathleen Dunphy, Robert Hagberg, Steven Hileman, Scott Moore, Tom and T.M. Nicholas and Elizabeth Tolley. The three guest artists are Don Demers, Joe McGurl and Charles Movalli. One visitor recently called the show "breath-taking". Another said that having work by so many great artists in one space made us almost "rock stars" of the art world. We are certainly pleased with the project, and celebrated Scott's birthday after all at his Portland event. February, 2013: The year is off to a fast start, and several very exciting events are on the calendar. Paintings that came in at the end of 2012 were posted on the website in early January, with almost immediate results. Half of Bryan Scott Whitehead�s new set sold promptly, and new artist Wyllis Heaton sold his first Argosy work. Steven Hileman brought in two paintings; one was gone within hours. Jennifer Holmes just stopped by with new work, and T. M. Nicholas delivered two Maine snow scenes. This latest work will be on the website by the end of the month. It is fun and exhilarating to see such activity in the dead of winter. Please save the dates and plan on joining us for several unusual occasions this year. First on the calendar will be a special celebration for Scott Moore, with a round-table demonstration and discussion followed by a reception on Saturday, April 27, from 4-6 PM. The location for this event is the Cumberland Club, at 116 High Street in Portland, Maine, from 4-6 PM. Reservations with the gallery are requested. A huge success in the gallery literally from the day his first paintings came in the door, Scott has had many shows in his honor. After a few early ones right in the gallery, we inaugurated our Milestone Exhibitions at the Bar Harbor Inn to mark his 50th birthday. At 55 Scott was the first of our artists to have a second Milestone Exhibition. Asked to participate in both the Acadia Invitationals I and II, he is again being honored on the national stage in the �Art of the National Parks� book. This year Scott turns 60, and we decided a brand new event was in order! On Sunday, June 16, from 3-6 PM, we will co-host our ninth event with and at Galyn�s Restaurant. This annual event has become hugely popular, as it features great food and an intimate setting that allows for real conversations with artists, three to six of whom regularly join us. There is carefully considered and truly impassioned �people�s choice� voting for favorite paintings. Winning artists get awards, and voters a chance at a door prize. Extra special this year will be a first look at the new �Art in the National Parks� book. Special event number three centers around the book project mentioned above. In June, Fresco Fine Arts of Albuquerque, New Mexico, will be publishing �Art of the National Parks�, featuring seven of the country�s most visited National Parks. At more than 400 pages, and with the work of seventy superb living artists, the book has been a monumental two year undertaking with historical and ecological, as well as artistic, perspectives. We feel honored to regularly represent seven of the ten artists invited to contribute to the Acadia National Park section, and the publisher asked that we host a show for that chapter. The show paintings will hang in Argosy II from June 15 through October, with a temporary move to the Bar Harbor Inn for a special exhibition July 27-28. A reception will be held there on Saturday, July 27, from 6-9 PM. This will be a memorable chance to meet and congratulate many fine artists, and participate in celebrating this country�s long history of painting in what have become our National Parks. December, 2012: Another great year. The big show of the season, for Tom Nicholas, was a lovely, sentimental affair. Three generations of the family came for the August reception, as well as friends from near and far. These included a Canadian artist friend who came with his wife to surprise Tom. For the occasion I wrote up three pages of Tom�s anecdotes and career highlights. Some of this material was used in an article in the October issue of Fine Art Connoisseur. Months later we are still getting comments how much people enjoyed the story. Many other artists had fine seasons, and a few even set records. Artists visited well into late fall. Kathleen Dunphy welcomed the opportunity to paint on Mt. Desert Island as a guest of the Oil Painters of America. Although the weather was problematic, she said she had, as always, a wonderful time. Both Robert Hagberg of Minnesota and Michael Pyrdsa of New Jersey had the pleasure of their wives� company during their respective fall trips. The latter couple�s visit coincided with Bar Harbor�s Fashion Night Out, complete with dancing in the gallery, carriage rides and a �little black dress� fashion show. There was a full inventory of new work for the holiday season, and the response was satisfying. July, 2012: Wow! What an exciting year 2012 is turning out to be. As I write, we�ve had ten days of brilliant sunshine, hotter than some years but cooler than in most of the record-breaking states across the country. And it always cools off at night. Many good friends and collectors have already stopped by and just as many new visitors including art museum trustees, antique book experts and major western collectors, all admiring the collection and enjoying the artists� stories. Marvelous new work has come in and continues to do so. We�ve gotten uncharacteristically behind in updating the web site but by the end of July should be caught up. There�s a good reason for the delay. In June we went to Scotland to welcome a beautiful baby granddaughter, Ailsa Beatrix, into the world. With wonderful art-loving parents and a name from an island of fairy legend she is sure to grow up surrounded by beauty. Tremendously exciting projects are ongoing on the gallery front too. Our Tom Nicholas Milestone Exhibition is generating great interest right up to the art historian level. Please let us know if you think you can make it to the opening reception the evening of August 25. Tom is already delivering paintings. A consummate professional and very experienced after fifty years of shows, he�s leaving nothing to the last minute. Paintings are available for sale right away, but must stay at the gallery through August 26 so that they can be hung together for one celebratory weekend at the Bar Harbor Inn. There will be a few large pieces added as the show is hung. The show will be open for public viewing 1-5 PM on Saturday, Aug. 25, and on Sunday, Aug. 26, 9 AM - 5 PM. Planning for next year�s hotel show is well underway. It will be a book celebration. Remarkably, seven of the ten artists to be featured in the Acadia chapter of a National Parks book coming out next spring from Fresco Fine Art Publishers in Albuquerque are �our� artists. We were pleased to accept when asked to host a show in honor of all ten artists. It is likely to hang in Argosy II from mid-June through October 2013, with June and October book signings and a mid-summer gala in the Porcupine Room of the Bar Harbor Inn. Please keep an eye out for updates. Speaking of shows, our eighth at Galyn�s Restaurant, on June 18, was, once again, a real success. About 110 people attended, the buffet, provided by the restaurant, was as sumptuous as ever, and the People�s Choice Voting, as engaging. It was a real family event. Artist Nancy J. Hill attended with her husband, Scott Moore�s wife and art student daughter graciously accompanied him, and Steven Hileman came with three of his young sons, all most appropriate as it was Father�s Day. The voting results were as follows: First Place, the Marie Carr Award, to Nancy J. Hill for �Sunrise Commute�, Second Place to Steven Hileman for �Temptation�, and Third Place to Jennifer Holmes for �Great Meadow.� Rick and Gail Leiser, the owners of Galyn�s, generously cohosted the event. They regularly share their private art collection with the public via its display all through the restaurant�s five dining rooms. Several wonderful pieces were added this year. April, 2012: The new season is off and running. Artists have begun coming to town, new paintings in hand. Judging from sales and inquiries, this year gives every sign of being as exciting as last year, which was splendid. Our first festivity of the year will be the Father�s Day Show and Reception at Galyn�s Restaurant, our eighth year co-hosting this affair that is one of the kick-off events for the town�s week-long �Legacy of the Arts Festival.� Please put Sunday, June 17, on your calendar. Then, the weekend of August 25-26 brings our Milestone Exhibition for Tom Nicholas, NA, at 77 one of the country�s master painters. This show will mark his fifteenth year with the gallery. 2011 was strongly successful overall and ended with record sales during the November/December holiday season. The shows last year were blockbusters. Steven Hileman�s Milestone Exhibition in August, celebrating his career at 35, was a virtual sellout by the end of its opening weekend. The 15-month Acadia Invitational II, featuring 30 national award-winning artists, had major sales right up to the last days, and was a success by any measure. More than once it was likened to a museum show. Our heartfelt thanks go to all our supporters, those whom we�ve met in person and those we know only long-distance so far but hope to see one day. We are delighted when web visitors visit Bar Harbor and see firsthand the wonders of Acadia. August, 2011: Our much-anticipated August 20-21 opening for Steven Hileman�s �Milestone Exhibition� is nearly here. Customarily, we have several sales before the start of a show so there are welcome red dots at the reception. The early response to this current show has been nothing short of extraordinary. There will be a lot of red dots. A few more paintings will be added to the web site around Aug. 16 or 17. Call or email if one catches your eye. If anyone is planning to be in Maine on the 20th, please join us to celebrate and to meet this rising young star. Unfortunately, summer also brought less joyful news. It is with great sadness that we report that the artist Yves Parent passed away in July. A fine artist with a delicate, luminist style reminiscent of earlier times, he was extremely well-liked by his peers. Although very fond of his adopted home in Connecticut, he remained every bit a courtly, witty Frenchman, returning each year to his country of birth. A skilled and avid sailor, and a competitive transatlantic and round-the-world racer in his younger days he specialized in painting coastal scenes. We were always sure that in his images the vessels were correctly rigged and heading properly into the wind. Yves will be missed by his many family members, friends, customers and colleagues, including those of the Argosy Gallery where his work is in its eighth season. He will be remembered through hundreds of elegant works hat grace collections large and small. -1st place, the Marie Carr Memorial Award, went to a pair of small Nancy J. Hill paintings, �Glow Beyond the Snow� and �Bass Harbor Morn�. -2nd place also was awarded to a Nancy J. Hill painting, �Wild Willows�, which had just arrived at the gallery after being exhibited in the juried Hilton Head Art League Biennial. -3rd place went to Steven Hileman�s �Stonington Summer�. -4th place was a tie between Steven Hileman�s �Evening in Bernard� and Scott Moore�s �Long Pond, Seal Harbor�. April, 2011: Coming off a truly excellent first quarter of 2011, we are looking forward most enthusiastically to the start of the new "regular" season. Spring is in the air, and spring-cleaning is going on all over town. The gallery will reopen on the weekend of May 21 and 22. During the rest of May we'll be open the 24th, 25th, 26th, 29th, 30th and 31st. Please note that we will be closed on May 23, 27 and 28. However, to accommodate holiday weekend visitors the gallery will open earlier than usual (10 AM) on Sunday the 29th and Monday the 30th. Of course some special events are on the summer calendar. Sunday, June 19, our annual collaborative show with Galyn's will take place at the restaurant from 3 to 6 PM. The food and wine will be excellent, artists will be on hand to say hello, and voting for the "People's Choice" awards will be, as always, an important and joyful undertaking. Looking further ahead, Saturday, August 20, will be the gala opening of this year's Milestone Exhibition, once again in the Porcupine Room of the Bar Harbor Inn. Steven Hileman, this year's honoree, will be, at 35, the youngest artist to have earned this distinction. It is well deserved. Formal invitations will go out in early July. Artists have been at work all winter creating a great new inventory; several have already made on-site visits this spring. They also keep busy with invitational and juried shows, and often bring home high honors. Two that come to mind are Robert Hagberg's election as a Signature Member of the Oil Painters of America, and T. M. Nicholas' top award at the Guild of Boston Artists' recent members show. Our artists make us very proud to represent them, and we look forward, as always, to sharing their work with old friends and new. November, 2010: This is a busy and exciting time for us. We'll shortly be taking a selection of our newest paintings "on the road" to the Boston International Fine Art Show, where we will again be exhibiting as one of 40 fine galleries from around the world. Please join us there, Nov. 19-21, in The Cyclorama, 539 Tremont St. For additional information: 617-363-0405 or www.fineartboston.com. We're already getting emails and calls about paintings for holiday gift-giving; more than a few are secrets. There are a lot of choices. Approximately 125 new paintings will have been added to the website by the end of this month, on top of more than 50 earlier in the fall. Customers from the last 5 years may expect the usual holiday catalog by early December. Don't miss the exciting work of several newcomers to the gallery. Paintings by Mark Beck, Lucia deLeiris, Michael Pyrdsa and Jeff Sojka can be found on the website under "Selected Treasures." Our two young, mid-thirties artists, Steven Hileman and Bryan Whitehead, are replenishing very depleted inventory. On the senior end, Tom Nicholas came to a late fall open house bearing 5 great new pieces. Keep an eye out for the article on Jana Matusz in the December issue of "American Art Collector." This will be the third article on our artists this year! Our Acadia Invitational II show, previewed in the August issue, will be ongoing through October 2011; new paintings are being added as previous paintings sell. New works by guest artists can be found in the show's section of the website, while our regular artists' replacements are being listed in their individual sections of the website. 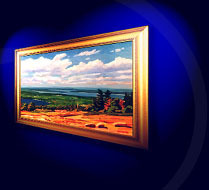 October, 2010: 2010 is the 175th anniversary of the first known painting trip to the Acadia area. Thomas Doughty�s painting of the Mt. Desert Rock lighthouse, exhibited in 1836 (the year following his trip) at the Boston Atheneum and later in London, most likely inspired other artists to follow. Too remote to become an art colony itself, Acadia nevertheless became inspiration for some of America�s oldest and finest landscape paintings. Coming up in 2011 will be the 90th anniversary of the Rockport (MA) Art Association. The Cape Ann area (Rockport, Gloucester and Essex, MA) was closer to metropolitan areas and did become home to two of the country�s oldest art colonies. Over the years the roster of artists associated with both Acadia and Cape Ann has included many of the country�s most renowned. The Argosy Gallery is pleased to represent some of the best of the current generation. On Sunday, October 10, from 4-7 PM, there will be a reception at the Argosy II location for half a dozen of our artists; please join us. We are delighted to announce the exciting October show �Legendary Places � Acadia and Cape Ann.� Already previewed in the October issue of �American Art Collector� and announced in �American Art Review�, the exhibition will feature work from these areas of Maine and Massachusetts by the gallery�s nine artists who paint in both historic locations. Rudy Colao, Tom Nicholas, N.A., John Calabro and Barry Ridlon are the gallery�s most senior members, and we are pleased to honor them. T. M. Nicholas, Michael Graves, Jennifer Holmes, Carolyn Jundzilo and T. A. Charron are also known for their award-winning work in these dual settings. Finally, the Acadia Invitational II, which got off to a wonderful start this summer, will continue through October, 2011. In order to offer a full and extraordinary show for this whole period, the 30 participating artists have been invited to �replace� paintings as they sell. On our web site, new works by the 18 guest artists in the show will be added under the show�s name as they arrive. In contrast, additional paintings by the gallery�s 12 regular member invitees will be added in their regular web site sections. We hope all our friends and customers will have the opportunity to see this outstanding show. More than one visitor has exclaimed that it is like being in a museum. The paintings are that good. August, 2010: The opening of the Acadia Invitational II was a resounding success. Over 200 visitors viewed the show at the Bar Harbor Inn over the weekend of August 7-8. Traveling from as far away as New Mexico, fifteen (William Bartlett - MA, Mark Beck - NM, Joan Brancale - MA, John Caggiano - MA, Rudy Colao - MA, Lucia deLeiris - MA, Robert Hagberg - MN, Steven Hileman - ME, Nancy J. Hill - ME, Scott Moore - ME, Tom Nicholas - MA, Ronal Parlin - ME, Stefan Pastuhov - ME, Line Tutwiler - IN and MA, and David Tutwiler - IN and MA) of the thirty participating artists attended the opening reception. During the announcement of awards at the height of Saturday evening's festivities, guests were shoulder to shoulder in the Porcupine Room of the Inn. We would add that it was a very elegantly dressed group, artists and patrons alike. The judges had an unusually challenging job but came up with exemplary winners (listed below.) In a striking endorsement of the quality and appeal of all of the paintings in the show, over two-thirds of them received votes as one or more guests' single favorite in voting for the People's Choice Award. The two winners tied for this award well represented the show's diversity of subject matter and styles. To top off the occasion the weather was perfect the whole time, and the views over the harbor and Frenchman's Bay were breathtakingly clear. It was an extraordinary setting for an extraordinary show. We thank everyone from artists to judges to family, friends, patrons and neighbors (most in more than one role) who helped make such a special occasion possible. The exhibition will continue to be enjoyed online and in person at Argosy II. July, 2010: The summer season has started in excellent fashion. The weather has been great, and sales have been promising. Excitement is mounting for the Acadia Invitational II. Look for announcements in �Fine Art Connoisseur� (July/August) and �American Art Review (July/August), and an article in �American Art Collector� (August.) A special section will be added to the gallery�s web site in mid-July, and will contain images of competition paintings as they arrive. All of the work, close to ninety paintings, will be posted to the site by opening day. Paintings will be for sale immediately, but must remain in the gallery through the show�s opening and judging weekend, August 7-8. A mini-exhibition and reception, jointly hosted with Galyn�s Restaurant on June 20, opened Bar Harbor�s week long Legacy of the Arts festival. For five years this has been a popular event for both visitors and local residents. As in the past, voting for the �People�s Choice Awards� was lively. The results were so close that several recounts were required. First place was won by Steven Hileman�s �Spring Thaw� (since sold), second by Nancy J. Hill�s �Table for Two�, and third by Ronal Parlin�s �Sunset Moon.� Less than one vote off were Scott Moore�s �A Break in the Clouds� and Steven Hileman�s �Morning Departure.� Four other paintings were just a vote apart, and every one of the 27 paintings shown received votes. Thanks to all who attended, including four of our artists and their families. For three weeks, from July 17 to August 6, we will feature the paintings of Cindy Nixon as we celebrate her tenth year with the gallery. A Cincinnati resident, the artist loves the Acadia area; nearly all her pieces are done entirely on site, �en plein air.� An impressionist painter who works with lively broken brushstrokes and some palette knife, Cindy depicts an unmanicured, almost untamed, landscape. The paintings have an ethereal quality; scenes are veiled in mist and a bit of mystery. Her work is evocative of older paintings and is often hung side-by-side with 19th century landscapes. March, 2010: After a fine finish to last year with three great sales on New Year's Eve, we're off to an excellent start in 2010. This year opened with a record number of installment sales in progress. Payments have been coming in regularly and well over half of the transactions are on schedule for completion by May when the gallery opens for its regular season schedule. We also had major new sales in January and February. All of this activity is most welcome by the artists during the traditionally "quieter" season. All of our artists worked enthusiastically and intensively to build up our inventory in late fall so we would be well stocked for the November Boston show, the December catalog and the winter season. Most of them took short holiday breaks to enjoy family events but got right back to work in January. We are starting to see the fruits of these labors with new paintings added to the web site on Feb. 15 (Hileman, Hill, T. M. Nicholas and Parlin.) Expect another set in mid-march, and another in April. The 110 Main Street gallery will be open the weekend of May 15 and 16, by appointment from the 17th through the 20th, and then nearly every day from May 21 onwards. The 6 Mt. Desert Street location will be open regular hours starting a week or so later. Our first event of the coming season will be the always popular gathering at Galyn's Restaurant on Father's Day during Bar Harbor's Legacy of the Arts Festival. Voting for the People's Choice awards at that show has become a much enjoyed tradition. The very first of the Acadia Invitational II paintings will be arriving in early June, with the final ones expected by the August 1 deadline. Paintings will be available for sale as soon as they are received, but must remain with the gallery through the show's opening reception and awards judging. All of the exhibition paintings will be featured in a special section of the website by the show's gala opening on August 7, which will allow everyone to enjoy the show even if they can't make it to Bar Harbor during the opening weekend. However, we hope that many will be able to join us in person (please write or call for an invitation if you don't get one by early summer.) With a stellar line-up of artists from across the country, the Acadia Invitational II should be one of the season's most exciting shows anywhere. November, 2009: Our busy, open-every-day part of the season has ended, and we thank everyone who has helped make the first ten months of 2009 so successful. We are now on to our next exciting projects. For the first time, we are taking part in the Boston International Fine Art Show, which will take place at the Cyclorama, 539 Tremont Street in Boston's South End, from Friday, November 13 through Sunday, November 15. For more information please contact us or see www.fineartboston.com. Everyone is invited to join us as we show off a selection of our newest paintings in a glamorous setting among other fine dealers. In early December we will send out our usual small winter catalog to our most active and recent customers. Throughout the year we remain available for appointments in Bar Harbor, and will be keeping the web site up to date regularly. New work is added every few weeks, and will likely amount to at least 100 new paintings from September through December. As announced in American Art Collector, we will be featuring work by Steven Hileman during November, and by Ronal Parlin from mid-December. T. M. Nicholas' August show was first-rate, and he has since made several spectacular additions to our inventory. We hope you'll enjoy viewing these and all our other fine artists' newest works. August, 2009: The T. M. Nicholas show is shaping up to be a spectacular one. To finish up work, the artist has made two trips to Bar Harbor in the past three weeks. All of the exhibition paintings will be on the web site by the evening of August 7, the day before the opening. Several of the paintings in the American Art Collector preview article have already been sold, but have been replaced by equally striking ones. For the past few weeks the gallery has been featuring Nancy J. Hill's work in a solo show in Argosy II. We are celebrating her move to Maine full-time. The exhibit features both her classical still-lifes, as well as her land- and sea-scapes from her new year-round home. While growing up in the Washington, D.C., area, Nancy spent childhood summers on Mt. Desert Island, so the show is called "An Artist Comes Home." Looking forward, by the last weekend in August we will have gathered all the pieces for our first-ever figurative show. We're pleased that Alice McMahon White of Chicago will be a guest artist for that show. Recent winner of a Charles Saatchi Gallery (London) competition, she works in graphite on mylar film with her subject matter lovely ladies in contemplative moments. Going back a bit, we'd like to report that the Galyn's show on Fathers Day during the Legacy of the Arts week was a huge success. Approximately 120 people attended the reception, and there was keen interest in voting for the "People's Choice" awards. Ronal Parlin's "Southwest Gold" came in first, and Steven Hileman's "A Walk in the Park" and "Spring Comes to Schoodic" came in second and third, respectively. There was a tie for fourth between Nancy J. Hill's "Grigio et Noir" and Mary Laury's "Gouldsboro Sheep". Four of the five paintings sold at the show or shortly thereafter, but all 24 paintings in the show were "winners" because all received prize votes, and all were individually chosen for the show by restaurant staff members. June, 2009: Coming off a record first third of the year, the gallery is heading into its peak season with a program of exciting events. The biggest one for this year is T. M. Nicholas' Milestone Exhibition opening August 8 at the Bar Harbor Inn. The last weekend in August, a show of figurative work will be an intriguing departure from the gallery's usual landscape focus. Work by long-time gallery artists Steven Hileman, Nancy J. Hill, Kathleen Johnson, Ron Johnson and Carolyn Jundzilo, as well as guest artist Alice McMahon White of Chicago, will explore figures at work, at play and at rest. Also planned for the Columbus Day weekend is a reception for Jana Matusz of Boston, who has been chosen as one of this year's Acadia National Park Artists-in-Residence. This is the second year in a row that one of the gallery's artists has been so honored. Robert Hagberg of Minnesota, last year's recipient, is heading to Maine again this summer. May, 2009: It is finally spring in Bar Harbor, and time to open the doors. The gallery at 110 Main Street will re-open for our 14th season on Saturday, May 16. The larger space at 6 Mount Desert Street will re-open a few weeks later. 2008 was a remarkable year for the gallery. Business held up at a strong enough pace that, even with a slower fourth quarter, we ended up with a record year. 2009 is already off to a great start, with an exceptional number of web-initiated transactions in the first quarter. During the �off-season� Charlie and I hosted six �First Friday� shows in Portland, the final one on May 1. On June 21, we will be collaborating for the fifth time with Galyn�s in Bar Harbor to kick off the Legacy of the Arts week. This year�s event will emphasize work by resident Maine artists, largely chosen by the restaurant�s staff. August 8 will see the opening of a Milestone Exhibition for T. M. Nicholas at the Bar Harbor Inn, which will celebrate both his turning 45 and his more than quarter-century career. T. M. was already �on board� during the gallery�s planning stages in the winter before our 1996 opening. He has been a consistent and successful participant every year since then, and has garnered many honors during that time. This will be our seventh year hosting an opening in the Porcupine Room overlooking Frenchman�s Bay. Additionally this year we will have a July show and a fall show when many of our customers are likely to be in town. Looking farther ahead, we are finalizing plans for the Acadia Invitational II, which will open in August 2010, also at the Bar Harbor Inn. This show will closely follow the format of the first and highly successful Invitational in 2006, only slightly expanded. Thirty nationally known artists are being invited to participate. We look forward to seeing many friends, old and new, at both special events and every day during the upcoming season! November, 2008: The fall/winter season is now successfully underway. Over the past six weeks we've brought the website up-to-date with more than a hundred new images, and several dozen more will be added before the year's end. Most gratifyingly, sales continue to take place via web-visits. Please know that phone calls are always forwarded to wherever we are at the moment, and it has been exciting to make sales even during our travels. We restarted our Portland shows with one highlighting Robert Hagberg's recent stay as Artist-in-Residence in Acadia National Park earlier this fall. Our next reception there will be on Friday, Dec. 5, from 5-9 PM, at 142 High Street as usual. January we plan to skip as it follows immediately on the holidays, but the current plan is to have a festive Valentine's show in February, and others during most of the months through June. Looking way ahead, please plan to join us for a reception (and show) in honor of T. M. Nicholas on the evening of August 8 at the Bar Harbor Inn. Announcements of earlier summer shows will be posted in upcoming months. Most immediately, the gallery will be open from 11 AM to 3 PM on the Saturdays of Nov. 15 and 22, and over the winter by appointment. We're also happy to bring paintings on request to the monthly shows in Portland. As our next update will be in the new year, we close this one with our heartfelt thanks for everyone's interest and support, and our best wishes for the holidays and beyond. July, 2008: Our most elaborate show of the season, to be held once again at the Bar Harbor Inn, is coming up quickly. The 2008 Milestone Exhibition honorees are Scott Moore and Kathleen D. Johnson. With frequently overlapping audiences, these two artists have done exceptionally well in their careers and in our gallery over the past dozen years, so we are delighted to be celebrating their achievements with family members, friends (including their collectors) and interested newcomers. Their work will be exhibited in the Porcupine Room from 1-5 PM on Saturday, August 23, and from 9 AM to 3 PM on Sunday, August 24. Everyone is also welcome at the Saturday evening reception; please contact us by email or phone for an invitation or to RSVP, as we need an approximate head-count for the caterers. On other fronts, the current season is proving to be tremendously exciting. We and our artists thank all of our supporters for what has been a record first half-year. At least three artists are close to personal best years already! The gallery schedule has been busy right from the start of the year. We held seven monthly shows in Portland on First Fridays from November through June; some of these were group shows, such as the well-attended �Working at Sea�, and others highlighted work by individual artists such as Ronal Parlin in April, Jana Matusz in May and Steven Hileman in June. These artists all also had their work featured for several weeks in the Bar Harbor galleries. We expect to resume the Portland First Fridays in November. On Father�s Day, Galyn�s Restaurant and the Argosy Gallery jointly hosted a festive mini-show called �Acadia-Scapes�, which attracted well over 100 visitors and four artists. The People�s Choice voting was popular and a close call. First and second place among the exhibition pieces were Parlin�s �National Treasure� and Hileman�s �Down by the Docks� (which was purchased at the show by a California couple celebrating their 45th anniversary.) Within the Galyn�s permanent collection, Hileman�s �Sunlit Crossing� and Terry la Mar�s �Sunrise� drew top honors, respectively. In late July and early August, Nancy J. Hill�s work will be highlighted, including a dozen new pieces added this spring and summer. Having just moved year-round to Maine, Nancy will include some eye-catching landscapes and genre scenes in addition to her long popular still-lifes. As in other years, we have the great pleasure to exhibit several Hill paintings coming directly from major juried shows, into which the artist gets accepted with admirable regularity. Looking further ahead, we are planning a reception at Argosy II over the Columbus Day weekend to introduce Robert Hagberg. Hailing from Minnesota but with many national honors for Acadia paintings, Robert will be Artist-in-Residence in Acadia National Park for a month this fall. To conclude this newsletter, we thank the many artists and customers who have already paid us welcome visits this year, and look forward to seeing many more over the coming months. March, 2008: Just a few days from Spring there is still some snow on the ground in Bar Harbor, but we're definitely ready for the new season. More than three dozen paintings have been added to the inventory and website since January, and several have already been sold! Monthly shows in Portland, appointments in Bar Harbor, and many phone conversations have gotten business off to a fast start in 2008. There are three more Portland "First Friday" shows before we take a summer "break" to concentrate on the Bar Harbor galleries. These shows are held from 5-9 PM in the "Boardroom" on the 6th floor of the Congress Building, entered at 142 High Street, Portland. The April 6 show will highlight Ronal Parlin's always striking and popular new work. May 2 will be a "works on paper" show featuring an exciting group of Jana Matusz's acrylics on museum board, which lend a very contemporary look to our collection. Also on exhibit will be a series of Bass Harbor Lighthouse paintings with views from every possible angle. For our June 6 show Steven Hileman will have the whole room to himself for a display of nearly two dozen oils; everyone continues to be impressed by our youngest artist's paintings and sales. For our fourth annual collaborative effort with Galyn's Restaurant, we are planning an "Acadiascape" show and reception in mid-June. An added attraction will be Galyn's new look. While re-doing the upstairs main dining room, the owners have rearranged their entire art collection, added several new pieces, and installed gallery-style lighting to show everything to best advantage. Our Bar Harbor Inn show over the weekend of August 23-24 will be a Milestone Exhibition for both Scott Moore (his second!) and Kathleen Johnson. These two Maine artists have both found a tremendous audience in Bar Harbor, and each will pass significant sales marks this year. Invitations to the reception will go out in early July; please contact us if you'd like one. For this 2008 season, we hope to have lots of visitors for all of our special events, and for every day in between. The gallery will reopen on a daily schedule at Noon on Sunday, May 18. Appointments before then, or at non-scheduled hours, are always welcome. November, 2007: We are now wrapping up the fall season and moving on to winter projects. The First Acadia Invitational Show, which officially ended Oct. 31, was a huge success, and artists and customers alike have already begun inquiring about the next one. Version II will open in August, 2010, but we will host a number of individual events before then. This past August's "Milestone Exhibition" for Ron Johnson was every bit as exciting, glamorous and productive as we have come to expect from the Bar Harbor Inn shows; Ron was particularly touched to be greeted in person by so many of his customers. Two smaller but also highly successful shows earlier in the season were for Steven Hileman and Ronal Parlin, both of which opened on First Friday Art Walk nights in Portland and then continued in Bar Harbor for a month. An exceptionally well-attended June reception at Galyn's Restaurant, which featured work by our own Maine artists selected by the Galyn's staff, and a lovely evening gathering over the Columbus Day weekend at Argosy II, nicely framed our twelfth, and highly successful, Bar Harbor season. Looking ahead, we'd like to announce our 2008 Bar Harbor Inn show on August 23 and 24 of next year. This will be a joint "Milestone Exhibition" for Scott Moore and Kathleen D. Johnson, both of whom have found a tremendous, and often overlapping, audience at the Argosy Gallery for many years. The gala reception for this event will be held on the evening of August 23. Invitations to all of their collectors and other friends will go out 6-8 weeks beforehand, but please put the date into your calendars now and let us know if you'd also like an invitation. Our first Portland "First Friday Art Walk" show since last June took place a few weeks ago, on Nov. 4, in our new "digs" there. While still in the same building (the Congress, or State Theatre, Building, with main entrance at 142 High Street, across from the Eastland Hotel), we have moved from our cozy third floor suite to a more spacious exhibition space in the sixth floor "Boardroom". Our next show there is slated for Dec. 7, is entitled "A First Look", and will showcase some of the gallery's most recent acquisitions. Refreshments and decorations will be ready for the doors to open at 5 PM, and we plan to stay until at least 9 PM. Due to prior committments (and the expected usual seasonal exhaustion) we will skip the January show, but will be back in Portland on Feb. 1 for most of the remaining winter and spring First Friday Art Walks. August, 2007: The Argosy Gallery's biggest event of the 2007 season is a "Milestone Exhibition" for impressionist painter Ron Johnson, which is a celebration of the artist's career in the year he turns sixty. A native of North Carolina, Mr. Johnson has lived in the midwest since his student days at the Art Academy of Cincinnati. Regularly painting on site, the artist particularly enjoys Italy, Greece, and the coast of Maine, an annual destination for over a decade. His loose brushwork and dappled light greatly appeal to admirers of French and early American impressionists, and his bright, lively colors bring his work solidly into the 21st century. Over the past twelve years Mr. Johnson's oils have found an enthusiastic audience among Mt. Desert Island's visitors and residents alike. The paintings will be on display for everyone's enjoyment in the Porcupine Room of the Bar Harbor Inn on Saturday, August 18, from 1 to 5 PM, and on Sunday, August 19, from 9 AM to 3 PM. They will then move to the Argosy II location at 6 Mt. Desert St. through September. For an invitation to the reception on Saturday evening, please call the gallery at 288-9226. Looking Ahead - Summer 2007: The original gallery at 110 Main Street will open for a twelfth season on Saturday, May 19, at 11 AM. The second space, Argosy II at 6 Mt. Desert Street, will open approximately two weeks later, on Sunday, June 3. We are pleased to announce a solo show for Ronal Parlin opening in Portland on Friday, June 1, and continuing in Bar Harbor for the following two weeks. It has been three years since Ron's last solo show with the gallery, and he has spent months in the creation of a new and striking body of work. The show will start with an artist's reception at 142 High Street, Suite 330, from 5-8 PM, on June 1, during Portland's popular First Friday Art Walk series. From June 3-16, the show will continue at Argosy II in Bar Harbor. After the Parlin opening, we will take a few months' break from the Portland shows to concentrate on the busy Bar Harbor season. We look forward to resuming participation in Portland's First Friday events in November at a new location on the 6th floor of 142 High Street. Hope to see you there on Nov. 2, and in Bar Harbor from now through October. During the annual Legacy of the Arts week, we will co-host our third collaborative effort with an exhibition at Galyn's Restaurant, 17 Main Street, Bar Harbor, on Sunday, June 17. The show will feature paintings by our 8 artists with homes in Maine. There will be a reception from 3-6 PM, complete with door prize and a People's Choice vote and award. The paintings will remain on display until 8 PM, and can be seen thereafter at the galleries. This summer's Milestone Exhibition will be in honor of Ron Johnson, a tremendously popular American impressionist who turns 60 this year. The show will open for two days, August 18 and 19, at the Bar Harbor Inn, and will continue for the rest of the season at Argosy II. Please contact the gallery for an invitation to the gala reception to be held on the evening of Saturday, August 18. March, 2007, Upcoming First Friday Art Walk Shows in Portland, ME: Our April 6 opening, 5 to 8 PM at 142 High Street, Portland, will showcase the work of two particularly popular Maine-based artists. Native Kathleen D. Johnson, starting her 12th season with the gallery, offers her most recent series of striking boats in deep blue waters and Maine fishermen full of life and character. Kathleen was honored last year as a "Leading Lady" in American painting by the magazine "American Art Collector." Steven Hileman, our youngest artist, has adopted his wife's home state of Maine in which to base his career. Over the winter, he has rebuilt the gallery's inventory of Maine work, from pure landscapes to harbors to Bar Harbor street scenes, in preparation for his 4th season with us (the first three were near sell-outs.) His paintings display a finely detailed brushstroke and rich color. Then, in Portland on May 4, 5 - 8 PM, the gallery will have the rare treat of hosting the opening of a 2-man exhibition for father and son, Tom and T. M. Nicholas. Over the past months these artists have given us some of their newest paintings from coastal Maine and the Cape Ann area of Massachusetts. Some were done during shared painting trips, opportunities the artists do not often have but much enjoy. Both artists have earned the highest regard in the traditional art world. This particular show will be featured in the May issue of "American Art Collector", which article closely follows on the heels of another in the winter issue of "American Artist Workshop." December, 2006, Upcoming First Friday Art Walk Shows in Portland, ME: The First Friday show on January 5, 2007, will be titled "New England Winter, Mediterranean Summer", and will feature works by Ron Johnson and other gallery artists. We're skipping February, and on March 2 will present "Artists New to the Gallery", which will include work by Rudy Colao, Kathleen Dunphy, Josh Elliott, Jennifer Holmes and Shawn Sullivan. Please join us from 5-8 PM at 142 High Street (Suite 330), Portland, and call or write ahead if you'd like us to bring any specific paintings from the website catalog. Happy holidays to all! November, 2006, News: The wonderful summer season has finally reached its end, and the gallery will continue its operations for the next six months in winter mode - receiving new paintings and adding them to the website regularly, being available as always by phone, email and appointment in person at either Bar Harbor location, and doing a number of shows. The first of these will be at 142 High Street, Portland, ME, on Friday, 11/3, as part of Portland's very successful First Friday gallery art walks. The title of this show is "Fall Favorites - A seasonal collection of works by the gallery's artists." A month later, on 12/1, the Portland show will be "Holiday Gift-Giving Show - A diverse collection of affordably priced original artworks for holiday gift-giving." Please join us for what is always a well-attended and fun time, and call ahead if you would like us to bring any specific painting(s) from Bar Harbor to see in person in Portland! Many thanks go to the three judges who, after several hours of thoughtful deliberation, awarded the following prizes: Acadia Prize - Kathleen Dunphy's "Into the Mystic"; Frenchman's Bay Award - T. M. Nicholas' "Early Summer, Acadia"; three Judge's Choice Awards - Charles Movalli's "Shadows", David Curtis' "Time Beyond", and Ronal Parlin's "Sailor's Cathedral"; and the Small Painting Award - Josh Elliott's "Acadia Fog." The People's Choice Award went to Ronal Parlin's "Sailor's Cathedral." The exhibition is ongoing in Bar Harbor and on the web through October. July, 2006, News: The eyes of the art world will be on Maine this summer. The first Acadia Invitational Exhibition, sponsored by the Argosy Gallery, will open in Bar Harbor, Maine, on August 5, 2006. In one of Maine�s largest-ever shows for traditional painters, twenty-four nationally renowned artists from across the country will present work inspired by trips to Mount Desert Island in the year preceding the show. This exceptional gathering of artists will include Maine artists Kathleen D. Johnson, Scott Moore, Ronal Parlin, Stefan Pastuhov and Anthony Watkins. Eight of the most senior Cape Ann painters from the famed Rockport and Gloucester, Massachusetts, art colonies will join their northern colleagues. Western stars, from California, Nevada and Montana, have also ventured east, some for the first time, to capture Maine�s light and legendary landscape. Attracting attention usually reserved for shows in New York or Santa Fe, the exhibition has been previewed in �American Art Collector�, published by International Artist out of Scottsdale, Arizona. Everyone is invited to the opening display of the paintings in the Porcupine Room of the Bar Harbor Inn on Saturday, August 5, 1 - 5 PM, and Sunday, August 6, 9 AM � 7 PM. Saturday evening the Argosy Gallery will host an awards ceremony and reception for patrons and friends. Please contact the gallery for an invitation to the evening event. After the weekend opening, the show will move to the gallery�s new exhibition space at 6 Mount Desert Street, Bar Harbor, for the remainder of the season. For more information please call Amy Sidman at the Argosy Gallery (207-288-9226) or visit on the internet at www.argosygallery.com. June, 2006, News: Originally planned for the November through May slower season, the Argosy Gallery�s Portland shows have been so eagerly anticipated and well attended that we have added June 2, July 7 and September 1 to the schedule. Our reception and �First Friday� of the month exhibitions are held 5-8 PM at 142 High Street, Suite 330, in the Congress Building diagonally across from the Portland Museum of Art. As part of the Legacy of the Arts Festival, Galyn�s Restaurant at 17 Main Street, Bar Harbor, is generously hosting a small exhibition of Argosy Gallery paintings on Tuesday, June 20. Everyone is invited to the show and reception to be held 3-6 PM in the (upstairs) deck room. Looking Ahead - Summer 2006: For those making summer plans already, we'd like to announce several dates and special events. First, our season re-opening is set for Saturday, May 20, at 11 AM. Until then, we're happy to show paintings by appointment in Bar Harbor or Portland. On Saturday, June 24, we plan a festive reception for the show "Still-life and Beyond", which will mark the opening of a second Argosy space in Bar Harbor (at 6 Mt. Desert Street.) This exhibition will feature the work of Nancy J. Hill, Jane Puerini, Carolyn Jundzilo and Pam Ingalls. We look forward to the company of several of the artists that day. The gallery downstairs at 110 Main Street will stay just as you remember it, same great artists and many great new paintings. The new space will be used primarily for special exhibitions. Then, In August, we will be hosting our largest show ever, the first "Acadia Invitational." Twenty-four distinguished landscape painters will exhibit up to three paintings each in a show that will open on Saturday, August 5, at the Bar Harbor Inn. Please contact the gallery for an invitation to the evening reception. After two days at the Inn, the paintings will be relocated as a group to 6 Mt. Desert Street where they will be available for purchase throughout the season. It should be a spectacular display, so please enjoy it with us! Winter and Spring 2006 First Fridays in Portland: The Portland "First Friday" gatherings have been lively and fun. Many newcomers to the gallery have been introduced to our artists and their work, and greeting old friends is always a treat. As an added bonus the Portland Art Museum is open and free Friday nights until 9 PM. On March 3 we will welcome Stapleton Kearns, T. M. Nicholas and Stefan Pastuhov at a reception from 5-8 PM for their exhibition "Three Painters, Three Friends." This show is being previewed in the March issue of "American Art Collector." On April 7 we'll feature the work and introduce Steven Hileman, the young Maine artist who has gained many fans over the past two years. And in celebration of spring, the May 5 show will highlight "Works on Paper." Popular downeast artist and art instructor Mary Laury plans to join us that evening. Satellite Gallery in Portland, Maine, and Scott Moore and Kathleen Johnson Celebrations: We are excited to announce a new initiative of the Argosy Gallery, a part-time satellite location in Portland, Maine. Starting November 4, 2005, we will be open and participating in Portland's "First Friday" of the month gallery walks (5 - 8 PM), in our location at 142 High Street, Suite 330. We're on the third floor of the big Congress Building diagonally across from the Portland Art Museum, which has free admission on these evenings. For our November 4 opening, we will show selected new paintings and some favorites by a dozen of the gallery's artists. On December 2, we will host a reception for Scott Moore, with a display of his latest work. On January 6, we will do the same for Kathleen Johnson. We also invite our customers to request paintings from the website that they would like to see in person in Portland over the winter. Please join us often. October, 2005, News: Despite torrential rains on October 9th, the gallery's 10th anniversary celebration at Galyn's Restaurant was a delightful occasion - spirits were anything but dampened. Around thirty-five hardy souls, including five artists and a few truly dedicated campers, braved the elements to enjoy good food, good company and good art, and the challenge of choosing a favorite small painting. The results were close - nearly every painting got at least one first place vote. The winner of the Patron's Choice Award was Steve Hileman's "Long Pond Sketch." Stapleton Kearns' "Lupines on Beech Hill Road" and T. M. Nicholas' "Boats at Rest, Rockport" tied for second, while Scott Moore's "The Brick House" was a close third. Artists Moore, Laury and Hill were rewarded with sales at the event. Many, many thanks to everyone who came, and to all of you who contributed with your support to our reaching this milestone. September, 2005, News: The Tom Nicholas reception last month was everything we could have hoped for - magnificant paintings, wonderful guests, perfect weather, and a gracious guest of honor. Thank you to everyone who attended and helped make it a lovely evening. During October we will again be highlighting Tom's work. Center stage will be the painting "Daybreak, Christmas Cove, Maine", which won first prize in the 2004 North Shore Arts Association Show and is currently featured in an article on Tom in the premier (October) issue of "American Art Collector." If you will be visiting Bar Harbor over the Columbus Day weekend, please join us at the gallery's 10th anniversary celebration at Galyn's Restaurant on Sunday afternoon, October 9th, from 3 to 5 PM. Tom Nicholas Celebration, August, 2005: The year 2005 brings several special reasons to celebrate. In happy coincidence, we will be both marking the gallery's 10th anniversary and honoring Tom Nicholas, N. A., our most distinguished artist, during his 70th birthday year. Tom has been a professional artist for 50+ years, and was one of the youngest artists ever elected to the prestigious National Academy of Design. We will hold a special exhibition of Tom's work on August 19 and 20 in the Porcupine Room of the Bar Harbor Inn. On Friday evening, the 19th, there will be a gala reception at the Inn for customers, friends and family. Since we are somewhat limited by space and need a guest count for the caterer, the reception will be by invitation only. However, all of our collectors are warmly welcomed, so please let us know of your interest in attending. We hope to see many of you on this occasion as well as other times during this milestone season. Pam Ingalls Show, June, 2005: We are delighted to present to our gallery audience a new artist, Pam Ingalls of Washington state. Pam first studied under her father, continued at the Academia Delle Belle Arte in Florence, Italy, and graduated from Gonzaga University. Instrumental in the development of her personal style was a three year apprenticeship with Ron Lukas, who in turn had worked with Sergei Bongart, a Russian impressionist. In color and brushstroke Pam's work shows that dual influence. Rose and red tones warm her paintings, and she delights in light on everyday objects and in the nooks and crannies of cozy rooms. Her subject matter and style add a lively new dimension to our collection. For a dozen years Pam's paintings have excited collectors on the west coast and in the southwest. She has exhibited in over 125 national and international juried shows, where she has won over 60 prizes. We are honored to host this artist's first solo show in the northeast. Twenty of Pam Ingalls' paintings, inspired by her October, 2004, visit to Bar Harbor, were presented as a group in a two week exhibition starting June 19, 2005, coincident with the town's Legacy of the Arts Festival. The paintings were offered for sale prior to and during the exhibition, and remain available for the rest of the season. We are confident that Pam will visit again and become a regular contributor. T. M. Nicholas Celebration - Review, September, 2004: The T. M. Nicholas show was splendid, a great success in every respect. The reception was festive with friends, family and customers from five of the New England states and as far away as Wales. The Inn once again did a wonderful catering job, and the weather was warm and clear enough for everyone to enjoy the balcony view over the harbor and bay. Sales were so steady before, during and after the reception that it turned out to be the artist's best show ever. We are pleased, but not surprised, that this happened in Bar Harbor, as we have an unusually loyal, knowledgeable and enthusiastic circle of gallery friends. We thank every one of you! T. M. Nicholas Celebration - August, 2004: This year's grand event will be our 2004 Milestone Exhibition in honor of T. M. Nicholas' career achievements as he turns 40. A show of Mr. Nicholas' newest work will be open to the public at the Bar Harbor Inn's Porcupine Room on August 20 and 21, 2004 (and thereafter at the gallery.) All Argosy Gallery customers and friends are very welcome at Friday evening's private reception. (Paintings in the exhibition are being posted on the gallery website as received, are identified with "(M. E.)" in the title, may be purchased at any time, but must remain with the gallery through the end of the exhibition.) Exhibition hours are 1 - 5 PM on Friday and 9 AM - 3 PM on Saturday. Please contact us for an invitation. Ronal Parlin Exhibition - June, 2004: Our special exhibition for Maine artist Ronal Parlin during Bar Harbor's Legacy of the Arts Festival was an unqualified success. Paintings sold within hours of hanging and friends, local and out-of-state, joined us for a lively reception. Ron enjoyed meeting a number of his collectors and they, in turn, were pleased to meet him as well as each other. One gentleman remarked that he was surprised to find that others felt as deeply as he about their paintings, almost as though each work had been painted with the specific owner in mind. Some paintings left town, while others stayed on Mt. Desert Island. Ron turned fifty this spring, and we thought this a fitting year for a mid-career celebration. Parlin paintings have met with an appreciative and enthusiastic reception right from the start of his career at twenty after graduation from art school in Boston. We look forward to the next thirty years! In Memoriam - January, 2004: It is with great sadness that we note the death of Jane Stevenson Zint on December 27, 2003, only a few months after that of her husband Jerry. Jane was a personal friend, a professional colleague and a wonderful painter. I first met Jane in December, 1995, at an exhibit at the Cincinnati Art Club. Her paintings were eye-catching and her manner enthusiastic and engaging. Within a few hours of our meeting I offered, and she accepted, a spot on the roster for our soon-to-open gallery. She was the first of our artists to sign on. Although Jane left us much too soon, she had started painting professionally and successfully in her twenties and consequently left a significant body of work. She also shared her skills through private instruction and collaborations with North Lights Publishing. Paintings were eagerly collected by her local patrons in the Cincinnati/Northern Kentucky area and by dozens of admirers from New York to California. She specialized in softly focused pastoral and garden scenes which particularly appealed to devotees of early French and American impressionists. In several collections her work was hung side by side with the French masters. Jane's paintings so successfully captured certain moments in time and place that viewers could imagine themselves in lovely valleys, along gentle streams, in fields of wildflowers or under trellised roses. In several instances she chronicled rural areas that were subsequently developed. Despite failing health, she delighted in two painting trips to coastal Maine in recent years. She rose early to capture the first light on Stonington harbor. Friends and family will miss Jane greatly; her upbeat spirit was infectious. Fortunately, her lovely paintings will be a long-lasting legacy. It was an honor to know her and to represent her. Update - November, 2003: Our Scott Moore celebration held over the Columbus Day weekend was a busy and joyous occasion. With thirty marvelous paintings on display, a balcony view over the harbor off the exhibition room, and a full moon over Frenchman's Bay in the evening, the setting was elegant. More than one hundred people visited the exhibition and close to sixty attended the private reception. One visitor, a museum trustee, graciously noted that she had never attended an art event where such warmth and genuine enthusiasm were shown by all participants. Sincere thanks to everyone who attended and to all the customers who sent notes and photographs for the retrospective montage, a display that was enjoyed by all. Scott Moore Celebration - October, 2003: To celebrate the first quarter century of Scott Moore's career, the Argosy Gallery is hosting a special exhibition of his paintings in the Porcupine Room of the Bar Harbor Inn. With hundreds of paintings in corporate offices and over a thousand in private collections across more than 30 states, coast to coast, the artist has a wide and appreciative audience of all ages. Critics have also tracked his work approvingly for more than a decade. In the words of Carl Little, "Moore has given heart and soul to the Maine landscape. His carefully constructed canvases reflect a profound passion for the elemental wonder of this magnificent state." Everyone is welcome at the exhibit, which will take place on Saturday, October 11, from 11 AM to 5 PM, and on Sunday, October 12, from 9 AM to 3 PM. There will also be a private reception Saturday evening for the gallery's collectors. New works will be added to the web site before the show opens, and special pricing will be available, on-site and for telephone or email orders, during the hours of the show. For more information please call 207-288-9226.